Enjoy today’s games without having to worry about plans for Super Bowl 50. We’ve got you covered. 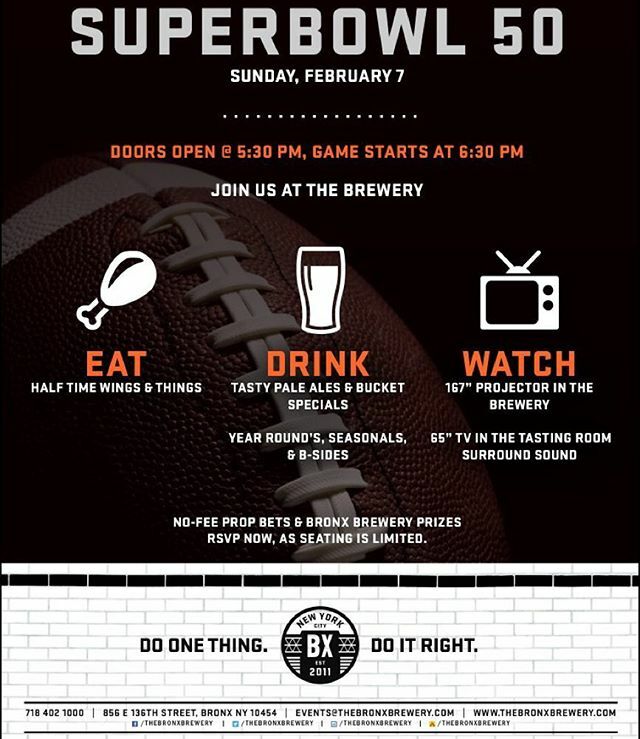 Come out to the brewery to eat, drink and watch the game on over 230” of screen. Seating is limited so RSVP via the link in our bio to reserve seating, and get food & your first beer paid for upfront.